This is how you do an re-imagining of a classic tale! It’s not bogged down in stupid prophecy or epic grand battles between good an evil. Nor does it promise to give characterized to the characters but makes them worse cough2015Cinderellacough. 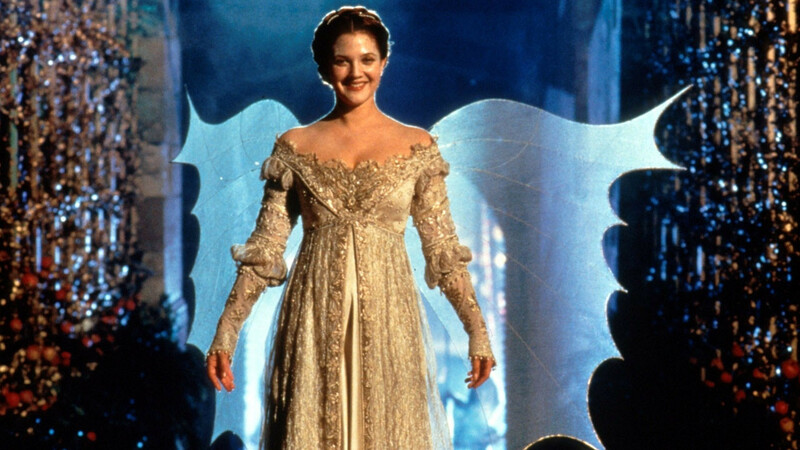 No, Ever After – A Cinderella Story gives a fun, girl-power focus to the classic tale while giving the other character something more than they had in the past. The story is tale for the most part as a story but there isn’t very active narrator. She just says a few lines and let’s the movie be. So young girl Danielle’s loving father brings home his new wife, Baroness Rodmilla along with her two daughters, Marguerite and Jacqueline. Right away, Rodmilla isn’t too fond on Danielle. After two weeks of teh father dies. Tens years later, Danielle is eighteen and works the manor as a servant. 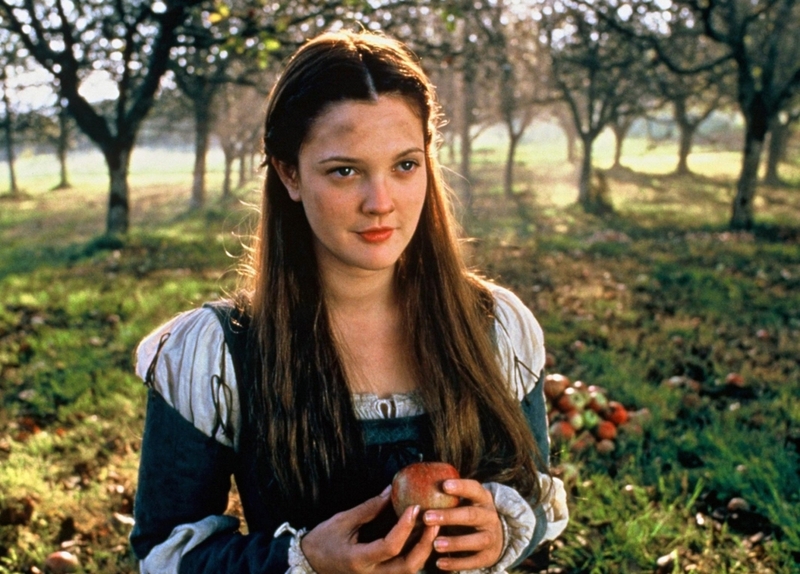 One day while she is picking apples she sees a man selling her father’s horse and she pelt him with apples. The guy turns out to be the Prince fleeing from an arranged marriage. He gives her a lot of money to keep quiet. Danielle decides to use the money to pay back a servant that Rodmilla had sold to pay off her debts. When Rodmilla is unwilling to listen to Danielle about bring the servant back Danielle decides to pose as member of court. 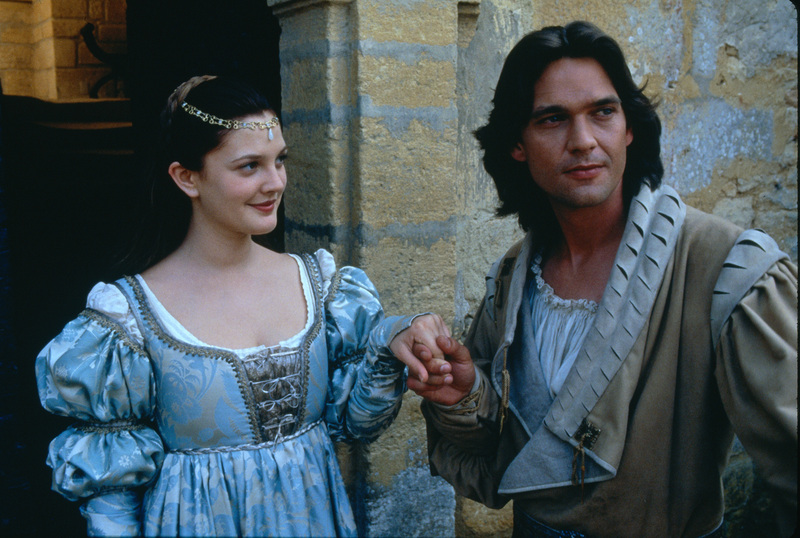 As that is happing the Prince, Henry get caught and brought back to the palace but not before he meets Leonardo Da Vinci and returns the horse to Danielle’s house. As Danielle petitions for the release of the servant, Henry shows up and is impressed that Danielle quoted Thomas Moore’s Utopia, which a book that means a lot to Danielle as it was the last book her father brought home. When the Prince asks Danielle for her name she says that they only name to leave him with is Comtesse Nicole de Lancret, which was her mother’s name. Henry then assumes it’s Danielle’s name. The King also informs Henry that he has one month to find a wife or he will have or he will have to go through with the arranged marriage contract with Spain. His decision will be announced at a costume ball. Danielle and Henry meet while Danielle is swimming. I should point out they has a cute snarky rapport. She calls him arrogant and he is charmed but her passion but they have good chemistry. As Danielle and Henry become closer with each encounter, Rodmilla is trying to get Marguerite to capture Henry’s attention. Rodmilla then learns that Danielle is the Comtesse the the whole court is talking about when she and Marguerite are chatting with the Queen. 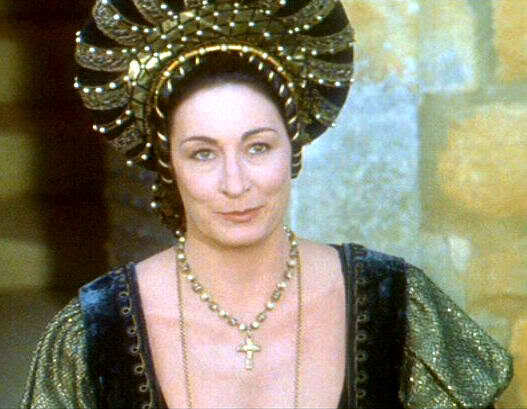 Rodmilla then lies and tells the queen that the Comtesse is engaged. The nigh of the ball comes and Rodmilla locks Danielle up. To help get Danielle to the ball, Danielle’s friend gets Da Vinci to come to house bust her out and then he makes her wings. Danielle arrives at the ball and Rodmilla exposes he to Henry and he so angry that he can’t forgive her for lying. Danielle runs off and leaves her one her glass slippers. The next day Rodmilla sells Danielle to a creepy rich dude. Henry then is seen getting married to the Spain Princess but the wedding doesn’t go through has either of them want it. Henry is then told Danielle was sold so he goes off to rescue her but girl saved herself. They two get married and Rodmilla and Marguerite are reduced to being laundry workers. 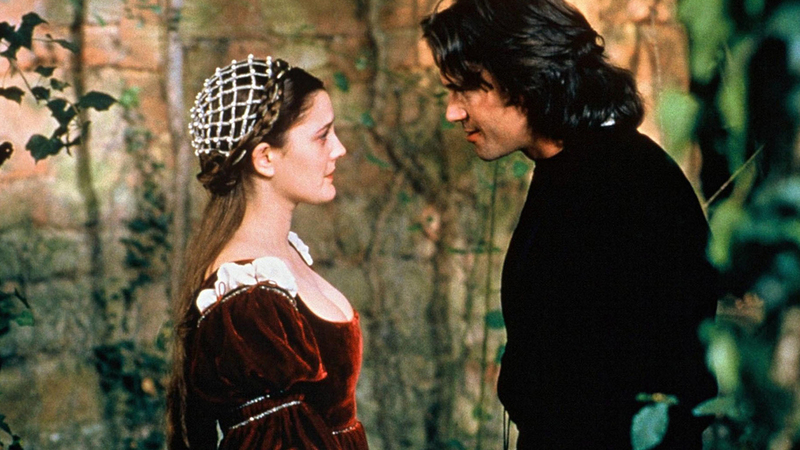 Ever After presents itself as a historical-fiction movie to give the story some legitimacy. Grounding it in the context of the real world makes it seems realer and less fairy tale, which is kind of this movie’s purpose. So instead of fairy godmother mother we have Leonardo Da Vinci. It’s weird but makes some level of sense, until you start researching dates. Since the story is left intact as a Cinderella story the details are what makes it different or give it interest. Outside of the decision to change the Godmother to Da Vinci or make the slipper as more an homage than a plot point or that the ball is a source of drama and confrontation, this movie is more of a character driven piece. Unlike in the fairy tale version the prince has a character. It’s nothing like too complex, he just wants to be in love but he is charming enough. The stepmother had some shades of grey in some moments but they did do too much with he feeling regarding her resent toward Danielle. She just comes off as vain and a social climber wanting her pretty daughter to get a high status. Really the most complicated character is Jacqueline. She is kind but wants to please her mother but you can see her frustration at her mother and sister’s attitude. Then we have Danielle and if you thought she was the most complicated character in this movie, OH you are wrong. She is interesting because she is charming but she is too prefect. She is pretty but no conceded, she’s is kind but not a push over, piss her off and she will cut you, seriously. She also smart as she is well read but she is pretty street smart too. She also charismatic. Really I’m surprised she left her stepmother mistreat her but in defense of that she really wanted her love and she cared about her home so that was the reason she dealt with it. Her flaw is that she doesn’t have an flaws. That makes her less interesting but she is endearing because she is a Cinderella character who is mistreated so you care for her plight. As far as the technicals go, it not that styically pretty. It’s most practical of a movie. The sets are all nice, the camera works is nice but the best part for me are the costumes. They are all very pretty. I really the Danielle’s ball and court gown. Though her work outfit was still not bad, it’s based on a painting. 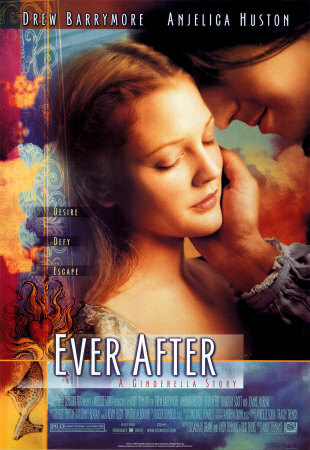 Ever After – A Cinderella Story is a girl-power rendering of the fairy tale while giving the character some nice characterization and lets the leads fall in love based on their personality and not like hormones at a party. INTO THE WOODS!!!! YAY!!! I can’t wait! No but that is a good guess. And Into the woods is the list so it will be reviewed soon but not next week.